Hero was having a perfect day, flying through the heavens with the other angel dogs. 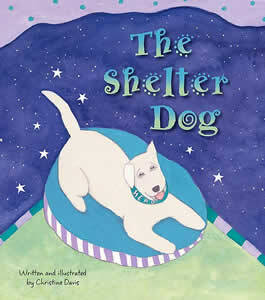 Perfect, that is, until he asked the Shelter Angel, who watches over all the animals that are up for adoption, if he could go back to earth and become a shelter dog. After all, he thought, what could be better than having a very special person choose you – out of all the other dogs – to come home and live with them? As Hero is about to find out, things don’t always turn out the way you plan. Sometimes they turn out better! 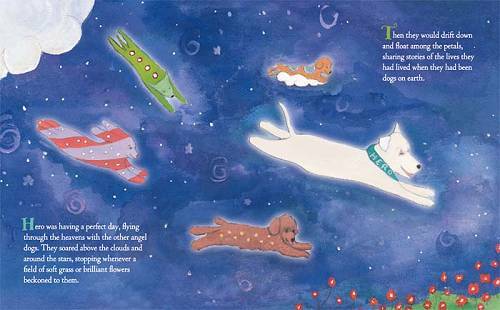 Filled with beautiful illustrations, this simple book tells the story of an angel dog who comes back to earth to experience the joy of being adopted. But will anyone be able to see how extraordinary this old shelter dog, with the wobbly back leg, really is? Come join Hero on his journey home. Hero was having a perfect day, flying through the heavens with the other angel dogs. They soared above the clouds and around the stars, stopping whenever a field of soft grass or brilliant flowers beckoned to them. Then they would drift down and float among the petals, sharing stories of the lives they had lived when they had been dogs on earth. 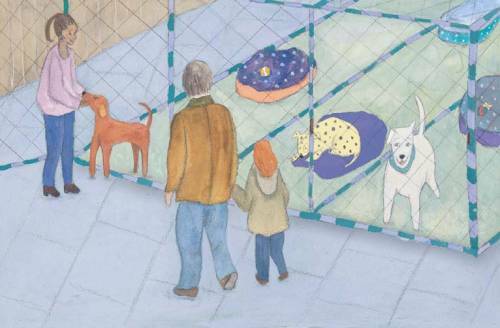 It wasn’t long before the doors opened and visitors began walking through the shelter. Hero stood by the gate, anxious to meet the person who would want to adopt him. But people looked briefly at his old face, and the back leg dragging behind, and kept on walking. 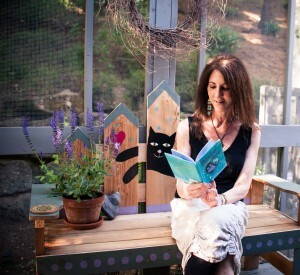 For author Christine Davis, writing a book about a shelter dog was inevitable. “One of the happiest days of my life,” she says, “was the day I found my dog, Jake, at the local animal shelter. He proved what dog lovers everywhere already know – that dogs are wondrous beings, made from love, fur and a little bit of angel! 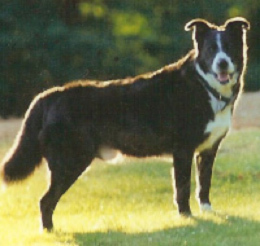 Jake now flies through the heavens, while Hero romps happily through the pages of my book. Both of these joyous creatures inspired me with their soaring spirits and hopeful hearts. It is to them, and to all the loving critters waiting in animal shelters for their forever families to find them, that I dedicate this book. Be a hero– open your heart and home to a shelter animal.